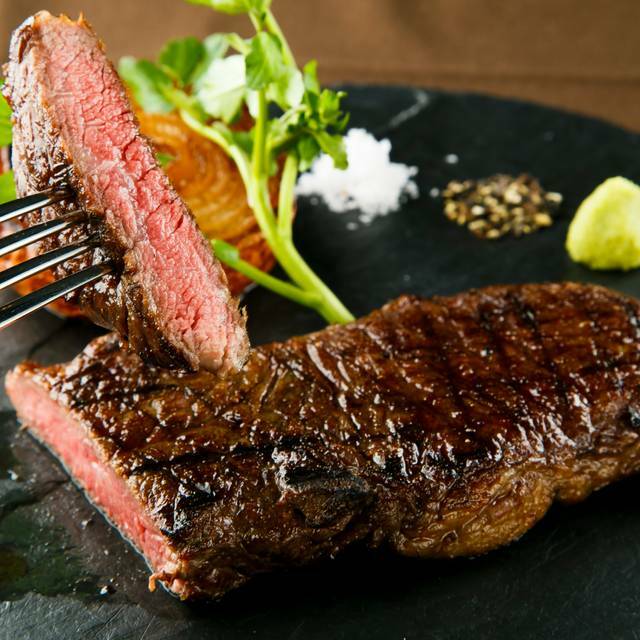 "Restaurant Pound Shijo Kawaramacih" is the dry-aged beef steak restaurant located 1 min-walk from Kawaramachi station, one of the busy street in Kyoto. 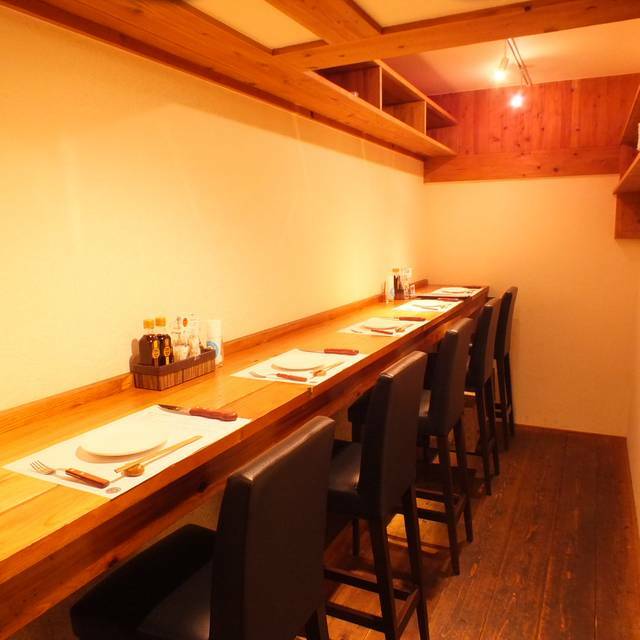 The restaurant interior is designed as a log-house, and it is simple but elegant. 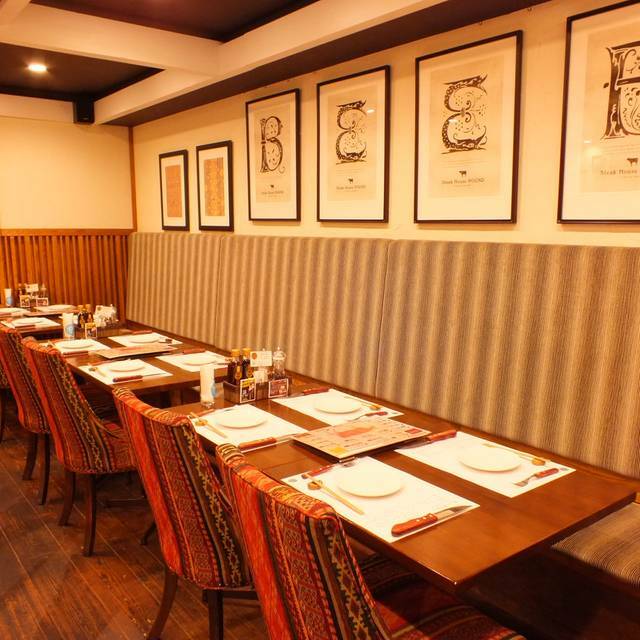 There is a space that you can fully enjoy our special meat dishes in a casual and a bright atmosphere.
" 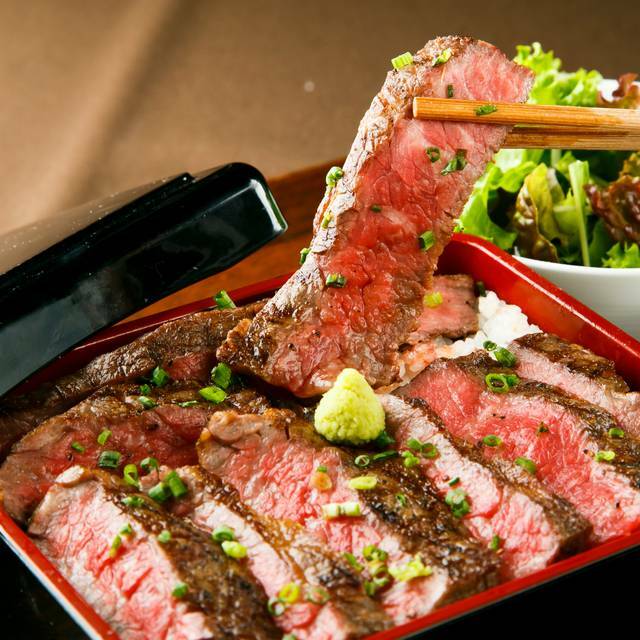 Dry-aged Japanese beef served by「Steak House Pound Shijo Kawaramachi」is maintained thoroughly by caring about temperature, humidity, and wind. And in addition to the American method of dry-aging that brings out the real taste of meat, we combined our unique method to decrease the melting point of beef tallow. 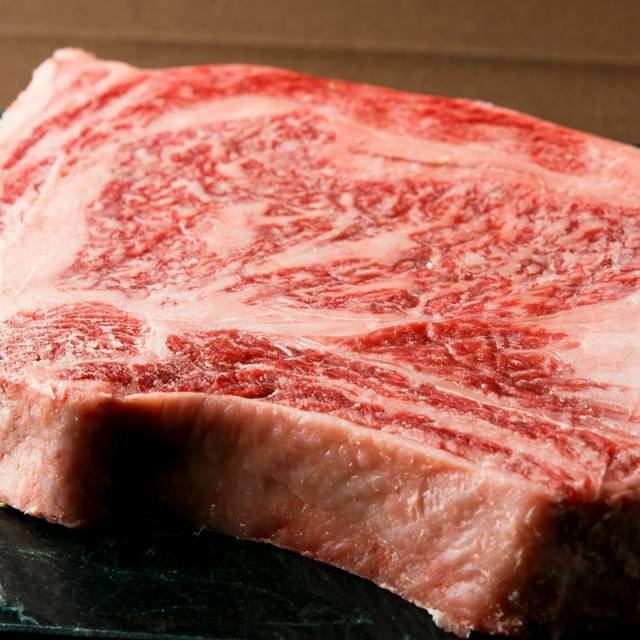 With these methods, we made Japanese black beef from Hiramatsu ranch in Kagoshima-prefecture, that is said as the beef matches the best with dry-aging process, into a very special dry-aging beef. 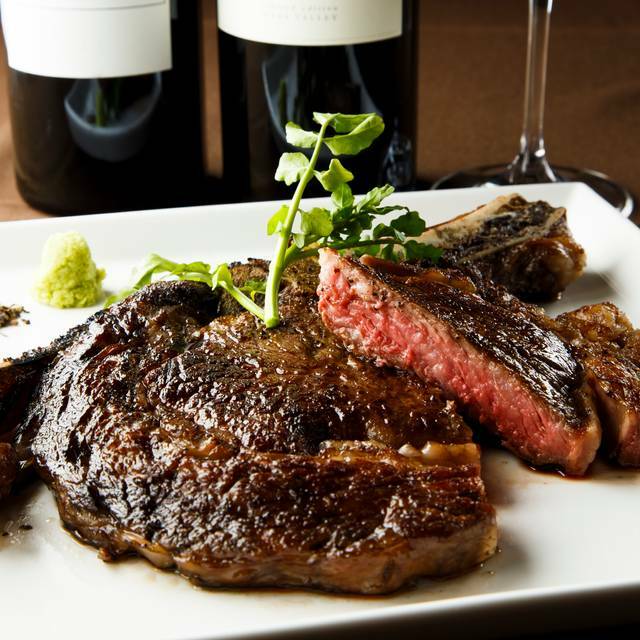 Please fully enjoy our specialily of the highest-quality dry-aged beef "Grandmother Beef". Very slow service with poor sequencing. Left before receiving the main since it had already been 1.5 hours and were told it was another 15 minutes to go. "Locals" seated 15 minutes after us received their steaks in a timely fashion while the "tourists" waited. 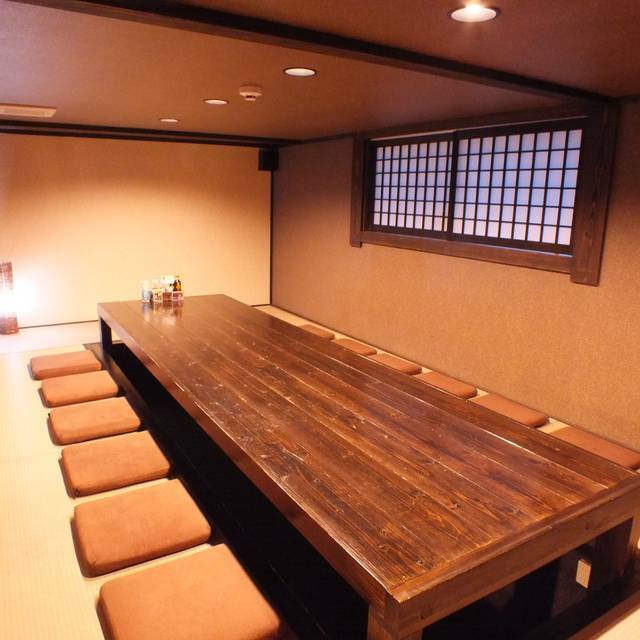 Spend your time and money elsewhere when visiting Kyoto! 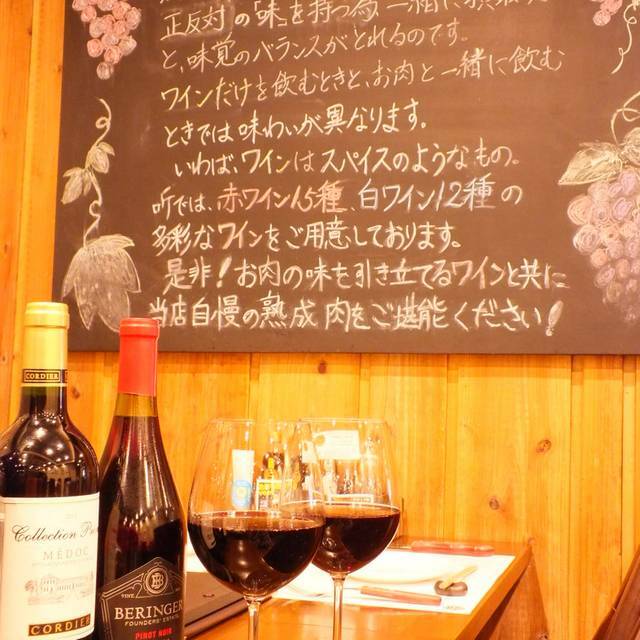 Restaurant is quite casual although prices are very high. Every thing is very clean and in good taste, Japanese style. Rise, salads and side dishes are excellent, but hey, we came here to eat Cobe. The waiter showing and offering different pieces of Cobe beef. Most of them quite small and not suitable for normal western dinner, up to 200 gs. Also not all different portions are available. Every gram costs... In the end if you want to eat a good steak, with out hearing your hart beating and fill pain in your pocket, this is not the place to go.I enjoyed but it was not outstanding as I've expected. Pas d’explication sur le menu et croyez-moi, il fallait comprendre. Pas de menu pour le vin, nous avons dû demander. Beaucoup de difficulté à discuter en anglais. Addition salée et difficile à déchiffrer. Bref, pas le meilleur Kobé que j’ai mangé! Great service, delicious Kobe beef, we had a lovely evening.